Seated on the banks of the azure Vembanad Lake, it is in fact one of the most popular backwater destinations in Kerala and one of the highest sought-aftertourist places in Kerala. Visit this paradise; enjoy houseboat cruise and stay, village walks, Ayurvedic therapies and lot more! Cradled in the lap of the Western Ghats, Wayanad truly deserves a top rank in the list of places to visit in Kerala. Situated at an astounding height of 700-2,100m, this stunning hill station is all about fantasy, untouched nature, unforgettable moments, and merriment! Adding more to Wayanad’s enchanting beauty, visitors can also revisit and unfold history while visiting this hilly retreat. Yes, the lush and pristine forests in Wayanad are said to be inhabited more than 3,000 years ago. 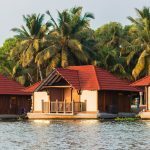 Kochi or Cochin is a unique placein God’s Own Country that is perfectly blended with cultural values and modern ideas! Fondly called the ‘Queen of the Arabian Sea’, this imposing port-city has always been an attraction point since the beginning of history. A melting point of numerous culture and traditions, Cochin has embraced all the modern outlook to become one of the most developed metropolis in India. Be it the essence of the Dutch establishments, British history, Chinese nets, or the traditional spice markets, Cochin will surely make you fall in love once again! Yet another gorgeous hill station in the lap of the fascinating Western Ghats, Munnar needs no introduction. Rising 1,600m above the sea level, a vacation in the beguiling locales of this hilly retreat is all about the lofty clouds, picturesque mountains, rolling hills, and a soothing ambience. Canopied mostly by never-ending tea plantations and lush forests, you simply cannot miss out Munnar while searching for the best tourist destination in Kerala. Be it during the summer or the winter, monsoon or the spring, Munnar will always make you crave for more! Adorned by the magical charm of the Vembanad Lake, Kumarakom is another beguiling backwater destination in God’s Own Country. Located within the proximity to Kottayam city, this is the place where even being lazy is also one of the best things you can do during your Kerala holidays. Adorned by the charm of the emerald Vembanad Lake, the evergreen coconut grooves, breezy rice fields, and lot more, Kumarakom is popular among all the types of visitors. However, backwater cruise and houseboat stays are the most popular thing to do in this beautiful tourist destination. If you are a beach goer, and is still assuming none can beat the charm and allurement of Goa or other popular beach destinations, you must visit Kovalam today! Located along the coastlines of the charismatic Arabian Sea, this beach town is undoubtedly one of the best tourist attractions to visit in Kerala. Located only 16km from Thiruvananthapuram, the capital of Kerala, Kovalam is the home to some of the most picturesque and playful beaches in the country. While in here, you can stroll around, indulge in beach activities or in other fun-filled activities around Kovalam Beach, Lighthouse Beach, Hawah Beach, and Samudra Beach. Considering that you want more from your Kerala holidays, you should not miss a trip to Thekkady, the evergreen abode of God’s Own Country! Strategically located and well-connected with some of the major Kerala holiday destinations, this is the place that always wears the green colour of Mother Nature! The ‘Spice Capital of Kerala’, Thekkady is much popular as the natural abode to numerous exotic wildlife species. 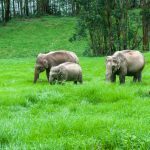 And while talking about wildlife species, the Periyar National Park in Thekkady will surely behold all your senses with its fascinating range of dwellers! If you are looking for an offbeat, yet captivating holiday experience in Kerala, you must plan your vacation in Vagamon. One of the most scenic hill stations and least explored tourist places in Kerala, this retreat in the Idukki district is known for its salubrious beauty, pleasant climate, and much more. In addition to leisure travellers, thrill and adventure seekers also make it to Vagamon in a considerable number. A year-round destination, it is considered as an ideal destination for adventure activities like paragliding, mountaineering, rock climbing, trekking, and lot more. You won’t be wrong if you call this metropolis as the ‘City of Spices’, ‘City of Truth’ or the ‘City of Sculptures’. Well, all these synonyms are hardly enough to describe the aura and essence of Kozhikode or Calicut! This kaleidoscopic city is much more than a tourist destination. Located on the Malabar Coast, Kozhikode or Calicut is esteemed as one of the diverse and best places to visit in Kerala. Dotted with an array of historical landmarks, tourist spots and attractions, this wonderful city is also a lively reminiscent of the Dutch and British eras in India. A quaint city in the warm locales of Kollam, Ashtamudi lies on the outer edges of the alluring Ashtamudi Lake. While a bustling trade centre in the past, it now attracts an impressive number of visitors form different corners of the globe. Visitors usually throng Ashtamudi to enjoy its impeccable beauty and treat themselves with the bucolic ambience of God’s Own Country. While in this pictorial city, you can witness cashew processing, coir manufacturing plans, traditional fishing, and lot more. You may also like: God’s Own Country at Its Best! Located in the Kasaragod district of Kerala, Bekal is among the most scenic hamlets you can ever visit while on a Kerala tour. A combined beauty of the mighty Arabian Sea and lush landscapes, this tiny, yet pictorial village is of utmost historical importance. The glorious Bekal Fort testifies this fact vividly. Serving as a perfect getaway from the concrete life, Bekal enjoys a pleasant climate while wearing a greener shade throughout the year. If you are yearning for silent, yet joyous holiday experience in Kerala, Bekal is the ideal hideout for you! Home to the Guruvayur Sri Krishna Temple – fourth largest Hindu temple in India, Guruvayur has many legends. One of them states that this temple town was chosen by Lord Krishna to ensconce His Dwarka temple. On the wish of the Lord, Vayu Deva along with Brhaspati reinstated Lord Krishna’s statue in the sacred Guruvayur Temple. Today, a large number of devotees visit this holy temple on a daily basis. The venue ground for festivals like Guruvayur Ekadasi and ChembaiSangeetholsavam, Guruvayur is also known for its magnificent charm and appeal. A sought-after destination among the seclusion lovers, it is still resonates the untouched beauty of God’s Own Country. A gem in the lap of the mighty Western Ghats, Idukki boasts of being one of the evergreen and pristine districts in Kerala. Canopied by lush vegetation, this part of ‘India’s Backwater Capital’ has a unique charm and attracts visitors from almost all the corners of the globe. Home to numerous natural marvels, lofty peaks like Anamudi and others, captivating sanctuaries, and spice gardens, this surreal part of Kerala is a must for every nature lovers. To note here, many of the popular Kerala tourist destinations like Munnar, Vagamon, Ramakkalmedu, Marayur, and Thekkady are located within this district. Also known as ‘The Crown of Kerala’, Kannur is a true treat to the visitors’ eyes! Bordered by the fascinating beauty of the Western Ghats, adorned with the alluring strokes of the Arabian Sea, and decked with the bucolic charm of an evergreen outlook, this beach town in the Malabar Coast is among the most beautiful places to visit in Kerala. Whether you are a nature lover, beach goer, history buff, culture fan, thrill seeker, or a casual backpacker, you would surely fall in love with the untouched beauty of Kannur. Also, not to forget here, this city is the home to Muzhappilangad Drive-in Beach, the only drive-in beach in India. A quaint town that showcases a diverse of biodiversity, a prismatic destination is dotted with an array of tourist attractions, and a home away from home for the visitors, Kasaragod is a swaying beauty in Kerala’s tourism map. Steeped with glorious past, this balmy town also serves a home to a range of loft peaks, stunning beaches, historic marvels, natural treasure, and much more. While on a trip God’s Own Country and searching for places to visit in Kerala, you must plan a trip to Kasaragod. Whether on a honeymoon trip, nature tour, backpacking quest, or any other, this scenic town will keep you amazed with its kaleidoscopic and admirable beauty! While searching for places to visit in Kerala, you may find a number of backwater destination. 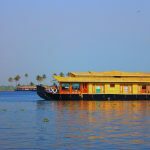 However, if you are yearning the most surreal or enchanting backwater experience, Kavvayi Backwaters is the one for you! Flowing with all its beauty and grace Payyanur in the Kannur district of Kerala, this patch of backwater has a unique appeal that can infect the visitors within just a wink! Fringed with lush greeneries, Kavvayi Backwaters serves as an ideal honeymoon and family vacation destination in the entire of Kerala. Visit this pictorial abode anytime of the year, and its heart-warming beauty and charm will surely hold you captive! One of the most promising, yet offbeat beaches in Kerala, the Kizhunna Beach is located in the coastal town Kannur in God’s Own Country. Often called the ‘KizhunnaEzhara Beach’ due to its proximity with the Ezhara Beach, this picturesque retreat can be make any beach goer crave for more! Adding more to its untouched beauty, the Kizhunna Beach in Kerala enjoys a favourable climate almost throughout the year. Owing to this, it receives an ample of beach lovers from across the globe. Fondly called as the ‘Rice Bowl of Kerala’, Kuttanad is truly a poetry in motion! Gracious, tranquil, evergreen, and still untouched by the outer world, this magnificent tourist destination in God’s Own Country is fringed with captivating groves of coconut trees, and is interconnected with a bucolic network of canal. This makes Kuttanad a place to behold among the visitors. While the intrinsic network of canals add more to the beauty and charm of Kuttanad, its evergreen swaying paddy fields make it truly irresistible for the visitors. Also, the rustic and traditional way of living that still persists in this piece of heaven will surely make you feel and live the true colours of Kerala. India’s ‘Spice Capital’ is all about lush greeneries and heart-warming ambience, hence the name “God’s Own Country’! And while in Malampuzha, located in the Palakkad district, you can feel the true essence of Kerala and its bountiful nature. Mostly covered by evergreen vegetation, this part of the state is a picture-perfect display of how we should co-exist with Mother Nature. Malampuzha’s undulating beauty and tranquillity makes it a must to visit place in the entire region of Southern India. Once a military headquarter, Malappuram or the ‘City of Hills’ or ‘Soccer City of Kerala’ could be one of the best things happening to you! All you need to do is, just plan a visit to this gorgeous hilltop city, and you would surely get pleasantly lost within its beguiling ambience. Situated in the southern corner of Kerala, this scenic city wears a misty outlook for most of the year, and draws a large number of tourists from across the country. Be it natural appeal, historic significance, tourist activities, places of attractions, or even to laze around, you will find ample of elements to keep yourself soaked with fun-frolic while in Malappuram. Believe it or not, but Goa alone cannot be called the paradise for beach lovers and other tourists alike! And if there is any other place in India that can be equally compared with Goa, it has to be Kerala. Well, if you want to know why, you must plan a visit to the Marari Beach in the Alleppey district of Kerala! One of the most captivating beaches in the entire country, Marari Beach will surely make you forget any other beaches in India. Rated among the top five ‘Hammock Beaches’ by National Geographic, this virgin beach proves to be a wonderful place to laze around, enjoy sun basking, indulge in beach activities, and lot more! A cluster of islands straight out of fairy tales, Munroe Island comprises of a collective group of 8 different islets. Interconnected with each other with a turquoise network of canals, this group of islands is around 27km form the heart of Kollam, and is a much-sought-after destination among the visitors. Edged with evergreen coconut groves, these islands can be called the epitome of serenity and tranquillity. Whether on a family vacation, honeymoon trip, backpacking trails, or casually holidaying, you can bump on the Munroe Island anytime or during any part of the year. If Kerala is called the ‘God’s Own Country’, Nelliampathy (or Nelliampathi) is fondly called the ‘God’s Own Village’! Located around 60km from Palakkad, this quaint hamlet is one of the least explored and equally stunning hill stations in Kerala. With a captivating range of hills that soar up to an astounding height of 467-1,572m, Nelliampathy serves as an ideal getaway to enjoy and revel in the alluring charm of India’s Backwater Capital. With lofty peaks, rugged trails, and around 10-hair pin bends, this tiny, yet enthralling hill station also serves as a hotspot among the thrill and fun seekers. Palakkad or the ‘Gateway to Kerala’ is truly a paradise for the nature lovers and admirers. Situated at the foothills of the mighty Western Ghats, this scenic land is jotted with lush and evergreen vegetation all throughout, and is adored as the ‘Granary of Kerala’. Steeped with a glorious past, decked with diverse range of traditions, cultures, art & music, and the indigenous Malabar style of living, Palakkad surely qualifies for a natural treasure in Kerala’s tourism map. Also, the tropical climate that prevails in this gorgeous city, makes it a not-to-be missed place to visit in Kerala. If you still think that Kerala is all about backwaters, mighty ocean, playful beaches, spice gardens, or evergreen coconut groves, you must visit the stunning hill station called Ponmudi! Around 55km away from the state capital, this promising hill station will make you rethink and create a whole new perception God’s Own Country! Enchanted by the spellbinding beauty of the Western Ghats, a drive or ride to Ponmudi has its own fun and excitement. While for the nature lovers, this part of the journey opens an unknown window to Kerala’s mesmerising beauty, adrenaline seekers love to have a tryst with the thrills associated. 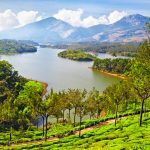 You may also like: Most Beautiful Hill Stations in Kerala – A Treat for the Summer! While in the Poovar Beach, you can witness one of the rarest phenomenon in the world. It is in this scenic beach, where the sea meets a river and a lake. Well, this is not it! Poovar estuary is also serves as the confluence ground of the beach and land! A quintessential display of exotic flora and fauna, this beach portrays much of traditional ways of coastal living where fishing plays an important part of daily life. Situated around 12km from Kovalam, Poovar Beach has gained immense popularity as a popular picnic spots among the beach lovers and other types of visitors. The capital city of God’s Own Country, Thiruvananthapuram or Trivandrum, or the ‘Evergreen City of India’ is also the largest city in the state. Located at the south-western edge of Kerala, this city is the perfect example of how rural life gets mixed with the contemporary way of living. Dotted with numerous tourist spots, places of historical importance, scenic beaches, and much more, Trivandrum is a true treasure trove among visitors from all the walks of life. Rated as one of the finest Indian cities to live in, Thiruvananthapuram can also be called the ‘Economic Capital’ of Kerala. If you are a cultural fan or enthusiastic about the rich traditions of Kerala, Thrissur should be ranked as #1 in your travelogue! Also called ‘Trichur’, this city was once the capital of Kingdom of Cochin, and is fondly called the ‘Cultural Capital of Kerala’. Being edged with a number of scared temples and other religious spots, Thrissur serves as an important pilgrimage among the Hindu devotees. Yes, this city is the venue ground of the famous ‘Temple Festival’ or the ‘Thrissur Pooram’ that is known and participated by devotees from across the globe. Visit the city during this festival, and you will find the entire Trichur uniting and celebrating the festival with high vigour and equal gusto! Flaunting its gracious beauty and charm while having a tryst with the Arabian Sea, Varkala is surely one of the most gorgeous and best places to visit in Kerala! A kaleidoscopic coastal town in Trivandrum, this is in fact the only place in God’s Own Country where cliffs are found alongside the sea-line. While being a hotspot among the beach lovers, Varkala is also known for the ancient Janardana Swami Temple that dates back to 2,000 years. If you are planning for a Kerala trip, make sure you visit this quaint town; it will keep you amazed all through with its impeccable beauty, devout ambience, and playful beach!